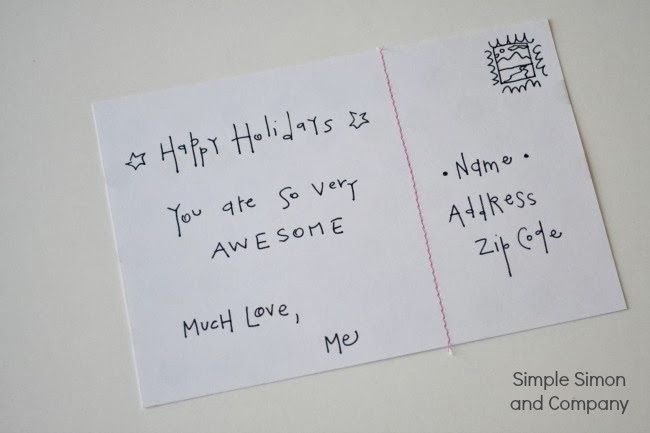 A few weeks ago I decided that I wanted to send something “handmade” to a group of our online friends for Christmas….but I couldn’t think of what I could possibly hand make that would be personal. Then it dawned on me…some handmade postcards! So the other night I got to work and in less than 30 minutes they were all made and ready to be written on. And I liked them so well I decided to share them….because who wouldn’t want to get something hand written from a friend in the mail? I looked up what the standard size is for a postcard and found that it is 4″x6″ which is perfect to cut out of 12″x12″ scrapbook paper. 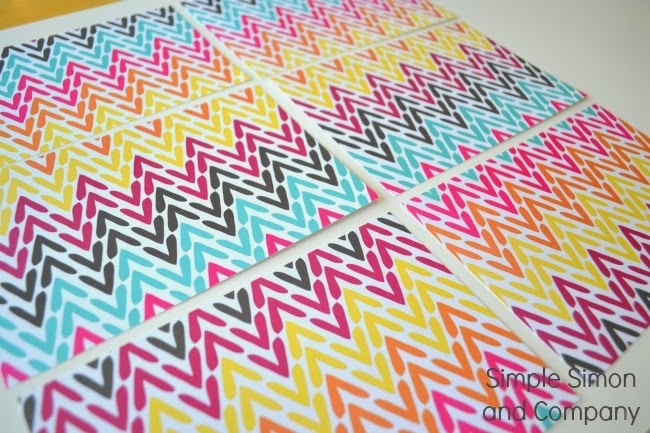 I chose heavy card stock paper and cut it into the 4″x6″ squares. Next I added some pink Coats and Clark thread to my sewing machine and ran each card trough my sewing machine. 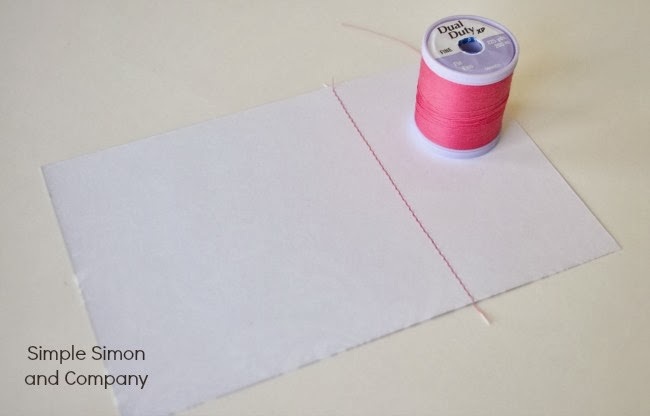 I put the pink sewing line closer to the left hand side to separate where the writing of the postcard will go and where the address will be written. And then I was done and ready to start writing! This card (although admittedly not long or very personal) took me less than 30 seconds to write. When I realized this I went back and made some more cards. I can think of a whole lot of people who at any time I could give 30 seconds to…not just at Christmas time…and now I have a stack of these on hand….ready to mail whenever I’d like. 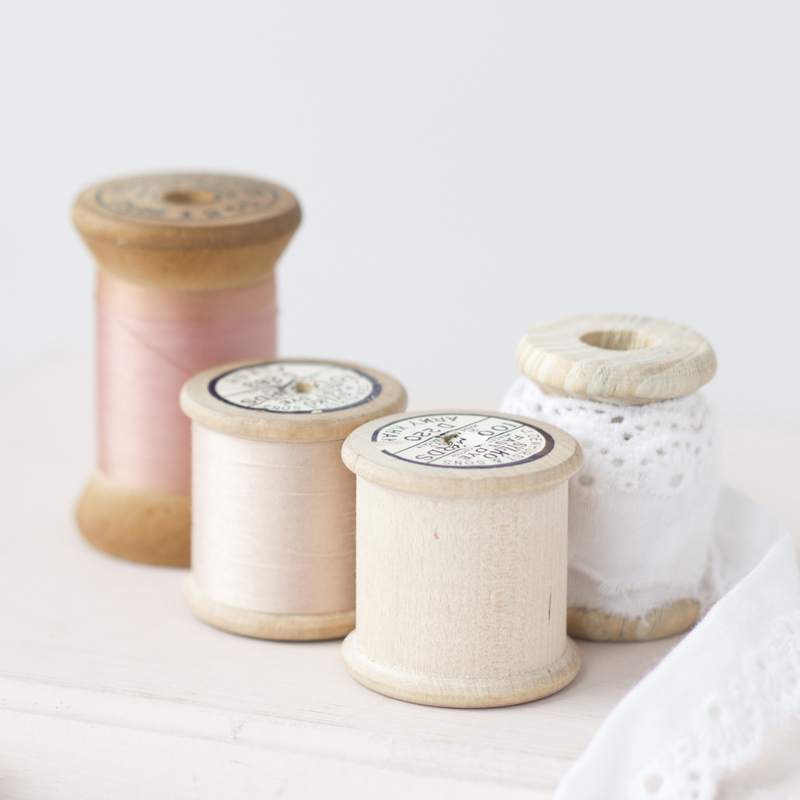 It’s my kind of project: quick, cute, useful, and shareable. « Because every bucket counts…..
cute idea! and love that paper! I always save my old/dull cutter blades for when I want to cut cardboard or paper quickly. Usually works well unless I forget to label the old blade (or change it when I am cutting fabric). 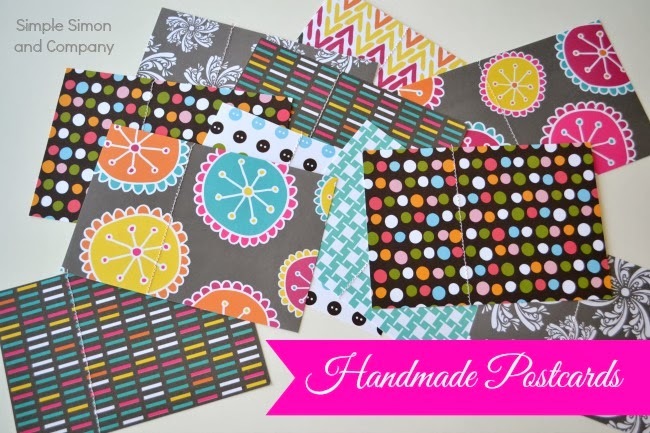 Yours is should be coming soon….it’s one of the polka dot ones! Rachel that is GENIUS. Seriously. I’m totally doing that from now on. Love your idea, think I will do it for all my family and friends!